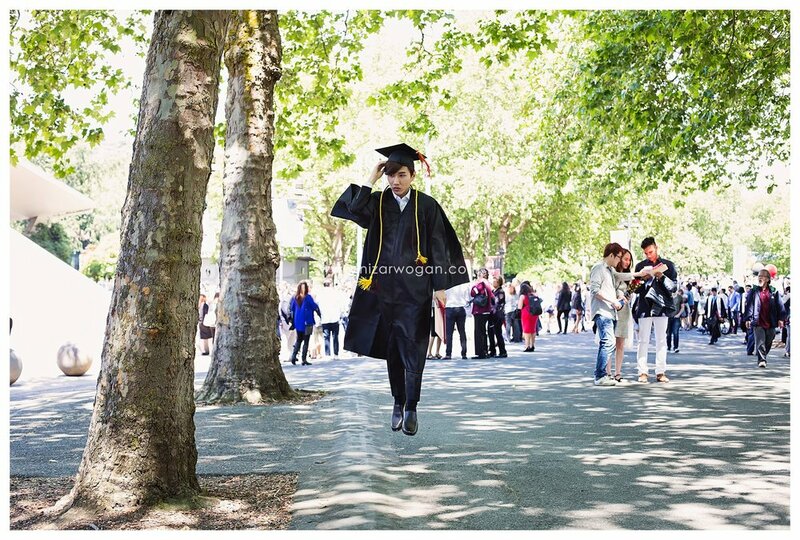 I was so happy when Lam told me that his commencement is on June, as I didn't need to find the June theme of my levitation series! 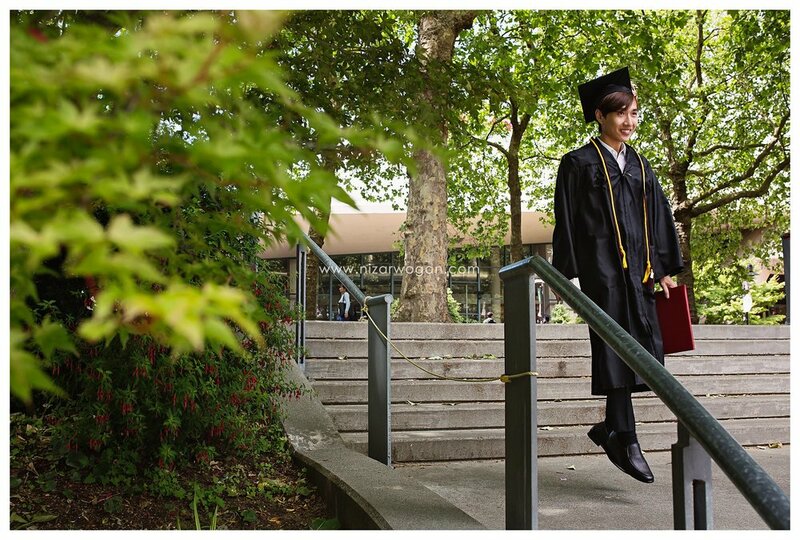 Yep, we did a few levitation pictures after the commencement. The lighting wasn't the best, but I still like them. It's been 19 days since Brian and I have been back in the good ol' USA, and as expected, the reverse culture shock syndrome is setting in. It was tough for the first week, we kept saying, "In Japan bla-bla-bla...". But as they say, LIFE GOES ON. Anyway, one of the hardest things about moving is starting your business again. In my case this is photography. As much as I want to keep doing my portrait photography business ASAP, I've decided to postpone it until everything is settled in because finding a studio, registering the LLC, and doing the promo aren't easy. 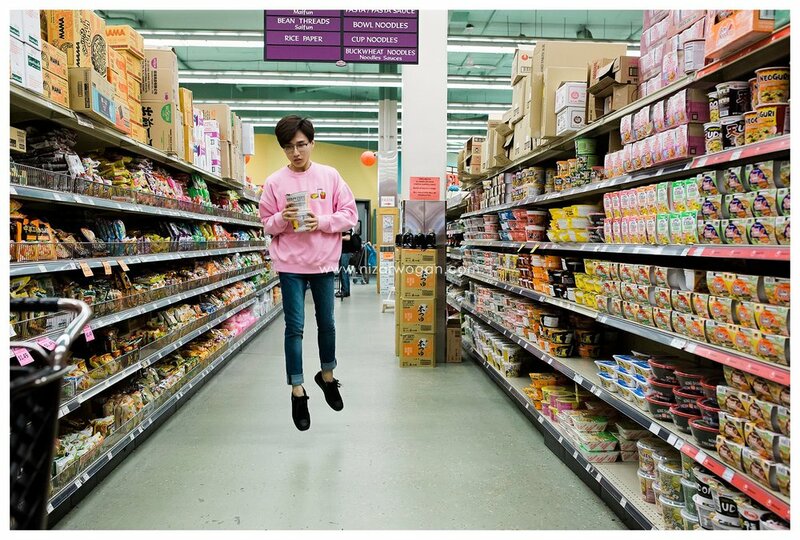 I have a pretty long list of conceptual pictures I want to do, and one of them is the levitation series photoshoot. I actually did this about 4 years ago before we left for Japan, but at that time photography was just part of my 'hobby', and my skill was.. umh.. basic, plus I had no website or blog! 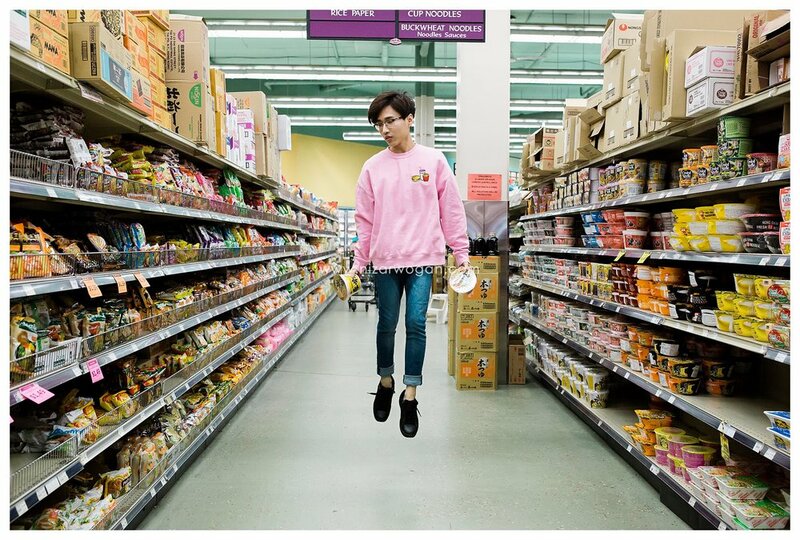 Aaaaand.. Last weekend, I met with Lam, and did our first levitation series photoshoot. The theme's "Shopping in Uwajimaya" :) I didn't take a lot of pictures at Uwajimaya, as I had not found my 'mojo' yet (LOL), but well.. here are some pictures we got at Uwajimaya.